This week we are taking an in-depth look at our new home community Park Lake, located in Montgomery, Alabama on the east side of town, near East Chase Shopping Center! Park Lake is an established new home community that features traditional homes in a variety of floor plans, ranging in size from 1300 square feet to over 2400 square feet! Inside the new DanRic Homes for sale in Montgomery, Alabama‘s Park Lake community you’ll find wood burning fireplaces, hardwood flooring, stainless steel appliances, 9’ ceilings, granite countertops in the kitchen, granite vanities in the baths and ceramic tile flooring. Many of the new DanRic Homes at Park Lake also include home security systems, 2″ faux wood blinds and fenced in backyards! Currently, we have 6 brand new homes for sale in Park Lake of Montgomery, AL, you may view them all by clicking here. Park Lake is located on the trendy east side of Montgomery, Alabama. For a detailed map and directions to Park Lake, please click here. New DanRic Homes inside Park Lake come with a 2-10 Limited Warranty and the seller pays $3500 towards closing costs and prepaids. Please contact Agent Daun Cioban for more information at 334-277-7723. Model home available for tour! This week we are taking an in-depth look at our new home community Lakemont, located in LaGrange, Georgia near West Point Lake! Lakemont is a well-established community featuring spacious home sites – some up to 2 acres! This neighborhood located inside the LaGrange High School District features new homes for sale that range in size from 1200 square feet to over 2600 square feet! Inside many of the new homes for sale in LaGrange, Georgia’s Lakemont community you’ll find wood burning fireplaces, hardwood flooring, stainless steel appliances, 9′ ceilings and cultured marble vanities. Some of the new homes for sale in Lakemont even feature handsome granite countertops in the kitchen! Lakemont features a variety of affordable 3, 4 and 5 bedroom floor plans to choose from – if you don’t see a specific floor plan that suits your needs, remember the builder, DanRic Homes, has in-house draftsmen available to custom tailor plans* for your family! Lakemont is also located inside the USDA Rural Development approved area, meaning that the homes are eligible for highly sought after 100% No Money Down financing for qualified buyers! That’s right – you could own a new home in Lakemont with No Money Down! 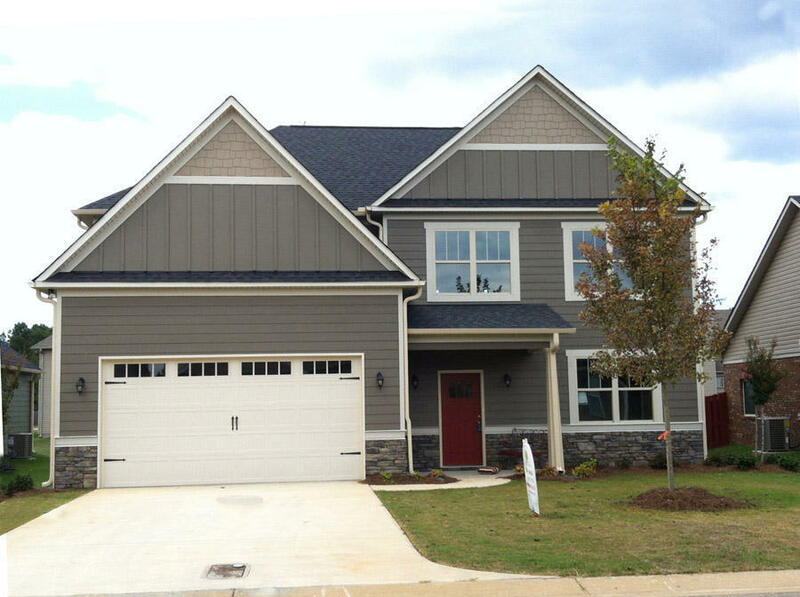 Currently, we have 4 brand new homes for sale in Lakemont of LaGrange, GA, you may view them all here. Lakemont is located on the north side of Troup County, Georgia just off New Franklin Road & Wares Cross Roads. For directions to this lovely and affordable new home community, please click here. If you would like more information on these new homes for sale in LaGrange, Georgia please call 706-883-3494 or email our Sales Assistant Amy Dupont.